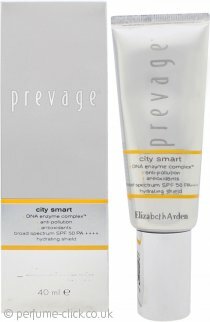 Prevage by Elizabeth Arden. Protects your skin from daily skin-damaging assaults and sun rays. Keeps your skin beautifully moisturized. Battles aging signs and diminishes the appearance of existing sun damage, wrinkles and discoloration.